Disneytown is a shopping, dining and entertainment district with the allure of a charming village and the excitement of an international crossroads. Guests will come here to reconnect with family and friends, or they may want to explore the new experiences that await them around every corner. Conveniently located adjacent to Shanghai Disneyland, Disneytown is a natural extension of the Disney experience for theme park guests. Some of the restaurants will even have unique views into the theme park. It’s also an attractive destination for residents of Shanghai and nearby areas, who may visit to explore the more than 46,000 square meters of distinctive dining and unique shops. There will be no charge for admission to this area. At opening, Disneytown will feature nearly 50 tenants including the first World of Disney store in Asia and a diverse mix of retailers – premium, affordable luxury and fast fashion options – plus exciting restaurants for families and convention guests alike. The tenants will include well-known local and international brands including renowned restaurants Shanghai Min, Crystal Jade, and The Cheesecake Factory operated by Hong Kong Maxim’s Group, as well as various retail options including stores under I.T group, i.t and BAPE STORE®, and a LEGO brand store. Other exciting high-profile brands including Food Republic, Coconut Paradise, The Dining Room, Hatsune, blue frog, Xin Wang Restaurant, BreadTalk, Toast Box, and Chow Tai Fook will also be the first of several dozen tenants to offer world-class shopping and dining options. 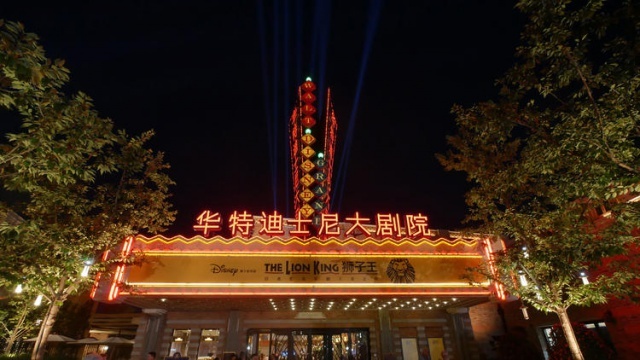 Disneytown also will feature Disney’s theatrical production of THE LION KING, presented for the first time worldwide in Mandarin, at the 1,200-seat Walt Disney Grand Theatre. This show requires a separate ticket. The heart of Disneytown is Marketplace, a district filled with specialty merchandise shops. Guests will find places here to relax and enjoy musicians and entertainment. On weekends and holidays, Marketplace will become a place to celebrate with the whole family, as it will offer nightly entertainment with a touch of Disney magic. Marketplace includes three world-class Disney shopping experiences: World of Disney Store, Marketplace specialty shops and Spoonful of Sugar confectionery. World of Disney Store: Located in a nostalgic railroad roundhouse – symbolic of travel and exploration – the 3,000-square-meter World of Disney Store at Shanghai Disney Resort will offer an extensive array of unique Disney apparel, toys, stationery, collectibles, and gifts, including exclusive items found only at Shanghai Disney Resort. The World of Disney Store is where the best of Disney comes together, from classic characters to the next generation of stories and styles. 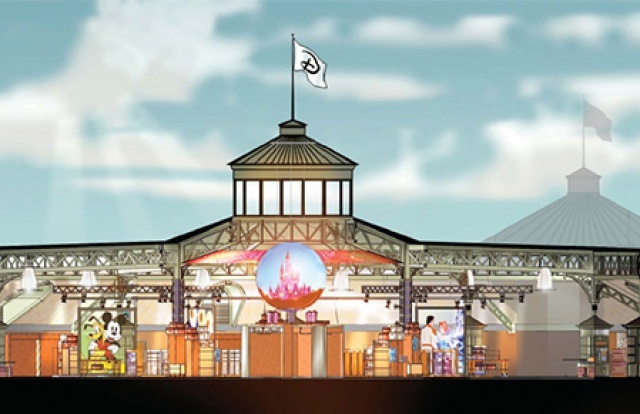 World of Disney will be one of the most technologically advanced Disney retail experiences in the world, including an iconic, eight-foot projected globe suspended from the ceiling, and an interactive Magic Mirror. The globe will feature Disney’s greatest film moments, to inspire shoppers about the magic of storytelling around the world. Video walls and digital screens will be available throughout the store. In the marketplace specialty shops adjacent to World of Disney, Dstreet will offer urban trends along with Dtech, the rapid printing technology that allows guests to create personalized electronic accessories on demand, with artwork of their choice. Also, located in the marketplace will beTrenD, a stylish boutique for “fashionistas” in search of clothes with a Disney character. The trendy apparel is set within an eclectic environment with a city vibe. Spoonful of Sugar: An innovative confectionery boutique for special gifts, this nostalgic candy shop reflects the optimistic lyrics of a song from Mary Poppins. Guests will be welcome to visit the confectionery show kitchen to watch delicious treats being made from the finest ingredients. The tasty treats can be packaged, too, making them a special gift. Inspired by Shanghai’s nautical past, while reflecting today’s resort lifestyles, the Lakeshore features a refreshing blue, white and golden yellow color scheme. Guests will enjoy the highest quality waterfront dining and shopping experiences, along with stunning lake and sunset views. At the water’s edge will be a picturesque collection of restaurants and shops inspired by current lifestyle trends. In an expansive restaurant on the second floor, guests may enjoy excellent seafood. Lakeshore’s natural beauty will make it an ideal location for romantic moments and anniversaries, and a picturesque setting for weddings. This district will have a distinct personality — eclectic and exotic. Its narrow cobblestone streets and small courtyards will remind guests of a bygone era, and the international array of foods will reflect the story of many different cultures and people coming together. A variety of Asian cuisine is part of the mix. The open kitchens and al fresco dining areas will provide a sense of warmth and welcome, encouraging conversation and camaraderie. Spice Alleyis a great place to meet for lunch or after work, and the evening strikes a more romantic mood, with twinkling lights and music. This upscale street evokes the aura of international shopping boulevards. Here, guests will find an exciting array of elegant shops offering designer goods ­­­– many of them co-branded with distinctive Disney designs. The area will also feature trendsetting galleries, with unique imported collectables presented in a sophisticated setting. The “Boulevard” definitely will be the place to shop for the finer things in life. Broadway Plaza will be a glamorous and exciting theatre district along Broadway Boulevard, with the Walt Disney Grand Theatre as its focal point. After enjoying a theatre show, guests may dine at nearby world-class restaurants, enjoying an elegant meal with spectacular views of the resort. The restaurants are also ideal choices for romantic candlelit dinners or anniversary celebrations. The Walt Disney Grand Theatre, a new, world-class, Broadway-style theatre will be located at Broadway Plaza in Disneytown. Beginning in 2016, the theatre will host the global premiere of the Mandarin version of Disney’s landmark musical event, THE LION KING. Currently in its 18th year, THE LION KING remains the highest-grossing Broadway show ever. The theatre, with its separately ticketed shows, will become an icon for Disneytown, introducing a world-class theatre experience to Shanghai and offering guests the opportunity to enrich their resort experience. Guests will walk to the theatre along a floral-inspired paving pattern that comes to life at night with sparkling lights. • THE LION KING in Mandarin: The Walt Disney Grand Theatre, an impressive new entertainment venue, will present THE LION KING, making its global premiere in Mandarin. 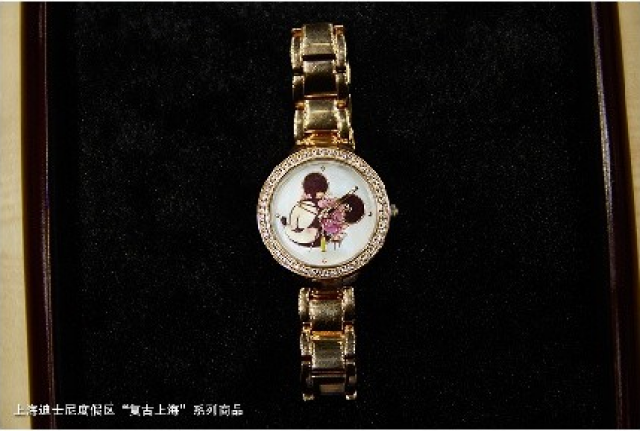 • Unique Mickey Mouse sculptures in Liuli glass: Seven unique Mickey Mouse figures will be sculpted for the first time in Liuli glass, created especially for Disneytown, and created by Chinese artists, they will range in height from 1m to 1.2m. The colors will represent the five Chinese elements (gold, wood, water, fire, and earth), as well as the dragon and phoenix, which represent harmony in Chinese culture. 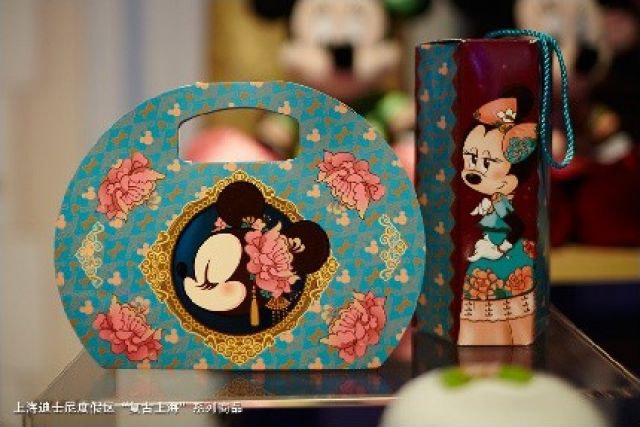 En complément de la présentation par Disney Store (Shanghai) de la première série de produits estampillé "Shanghai Disney Resort" (voir http://www.disneycentralplaza.com/t2849p780-shanghai-disney-resort-2016-le-resort-en-general ), le resort a quant à lui communiqué sur la boutique World of Disney Store qui ouvrira au printemps prochain à Disneytown. L'immense boutique (3000 m²) proposera, parmi le grand choix d'articles, divers produits spécifiques au resort reflétant la culture locale. Photos trouvées sur les réseaux sociaux chinois par Mr B. A t'on deja une date d'inauguration de prevue?? Fred Hemminger, directeur du Walt Disney Grand Theatre depuis janvier 2015. THE Walt Disney Grand Theatre, a new 1,200-seat Broadway-style performance venue in the Shanghai Disney Resort, will host the world premiere of the Mandarin-language version of The Lion King when the resort opens this June. Since its premier on Broadway some 19 years ago, The Lion King has become the highest grossing musical of all time in New York, as well as one of the world’s most popular stage shows. More than 80 million audience members have already seen The Lion King in theaters around the world. 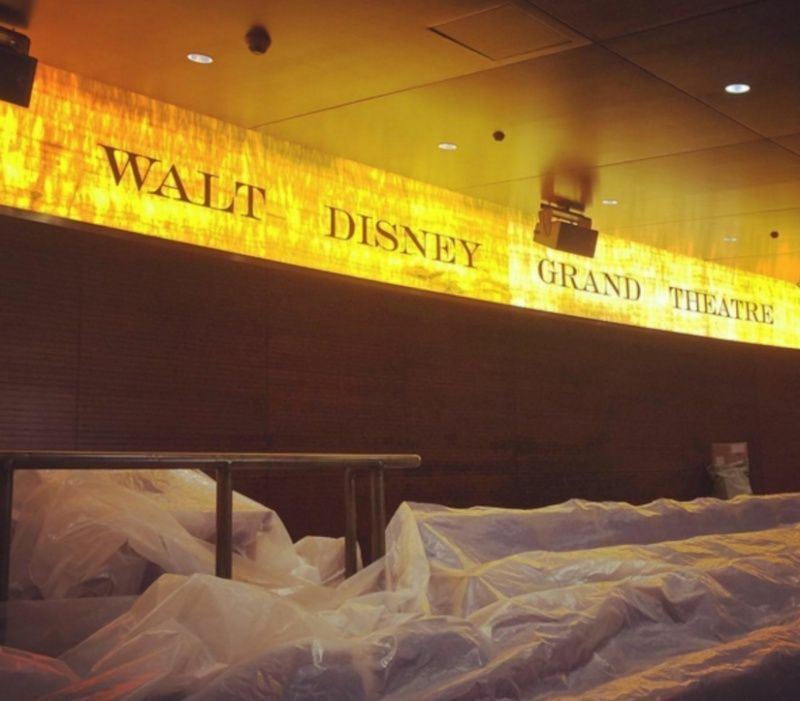 The Grand Theatre is located in the Disneytown area of Shanghai’s soon-to-open Disney resort. The new Mandarin production promises to bring the excitement and artistry of the smash Broadway production to Chinese viewers in their native language. Those involved behind the scenes have already been swept away by the show’s magic. “I’ve always been a big fan of Disney, but I never thought my love of theater and Disney would come together,” said Fred Hemminger, the theater’s general manager. 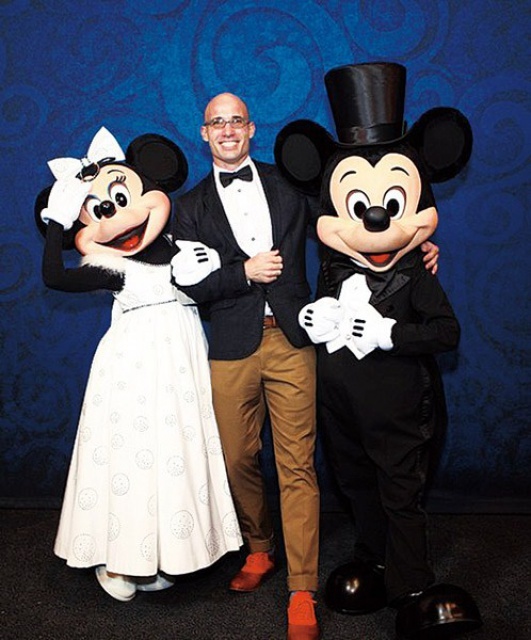 Hemminger has been with Disney for seven years. Prior to coming onboard, he worked on a number of Broadway productions, including as company manager to The Lion King. The opportunity to go to Shanghai came along during the show’s North American tour. “They were looking for someone with experience in the show to take part in its Shanghai project. I’d never been to China before, so I thought ‘why not’?” the manager said. A big part of his work so far has been recruiting local talent. 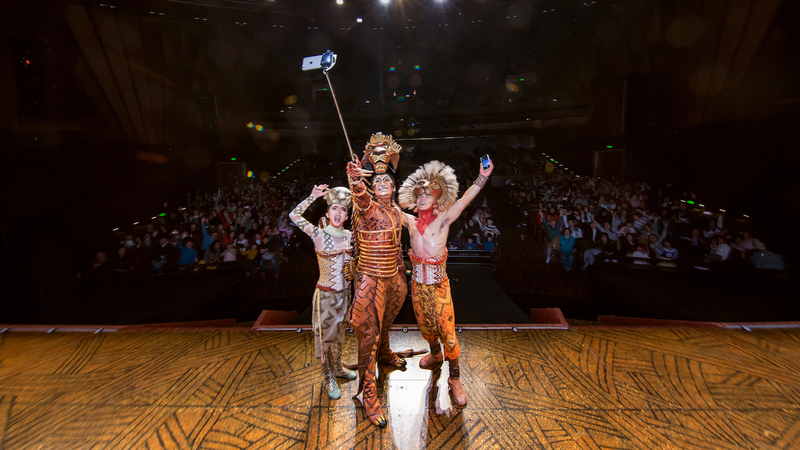 Over the past year, Hemminger and his team have been auditioning on-stage performers, backstage crew members and local artisans who have what it takes to honor The Lion King’s original vision in a way that is distinctly Chinese. Of course, the major point of departure for this new production is the show’s language. Certain features of the show’s humor will also be localized to appeal to Chinese viewers. While the team is still hiring cast members, the manager says the cast list is almost complete. Hemminger and his team held auditions not just in Shanghai and Beijing, but also in locales as diverse as Wuhan (Hubei Province), Chengdu (Sichuan Province), Shenyang (Liaoning Province), Taipei, Macao, Hong Kong and so on. “We’re still auditioning for kids. So if you have a child, age 8 to 11, who loves music and performance, come to us,” the manager added. 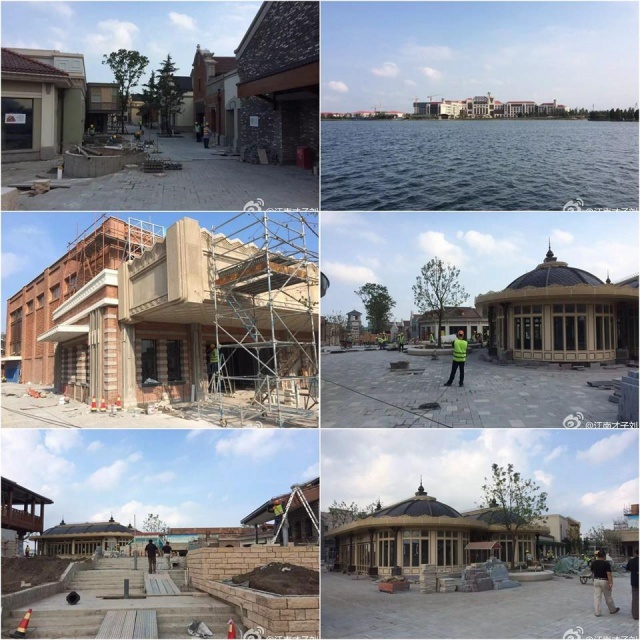 Located in the resort’s main shopping, dining and entertainment area, the theater is adjacent to Shanghai Disneyland. This means that audience members will not have to purchase admission to the theme park to see The Lion King. As the manager also explained, this is the first time The Lion King will be staged so close to a Disney theme park. Produced by Disney Theatrical Group, The Lion King to date has been performed in 19 countries, and every continent except Antarctica. Translated into eight different languages, productions of the show can currently be seen on Broadway and on tour across North America; London, Tokyo, Madrid, Hamburg, Mexico City and Perth. At the time of its opening, the Mandarin production will mark the 9th concurrent worldwide production of The Lion King. Shanghai Daily - 22 janvier 2016. (January 27, 2016, Shanghai) - Today, Shanghai Disney Resort announced more new tenants coming to Disneytown when the resort opens on June 16, 2016. New high-profile tenants, many of them representing first entries into China, include The BOATHOUSE®, Hot Toys, Build-A-Bear Workshop, and an exciting new concept restaurant from world-renowned chef, Wolfgang Puck. Disneytown will ultimately feature nearly 50 tenants that will offer a world-class shopping and dining experience for resort guests. Shopping, dining and entertainment areas are key features of Disney resorts around the world, giving guests an integrated resort experience alongside world-class theme parks and resort hotels. 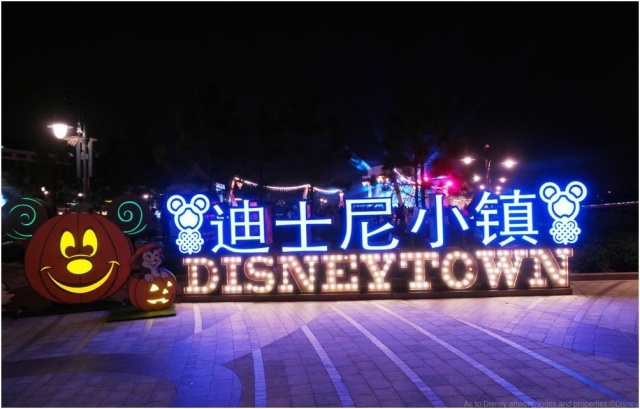 Located next door to Shanghai Disneyland and within walking distance from both Shanghai Disneyland Hotel and Toy Story Hotel, Disneytown will feature a high-quality, diverse mix of retailers and exciting, sophisticated restaurants for families and convention guests alike. Together they will create a variety of experiences and offerings in each of Disneytown’s five distinct districts – Lakeshore, Marketplace, Spice Alley, Broadway Boulevard, and Broadway Plaza. 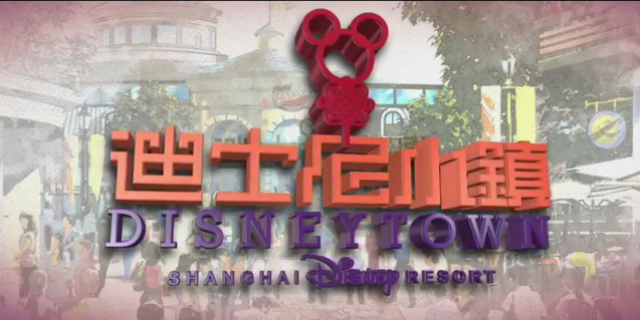 Like all of Shanghai Disney Resort, Disneytown will be authentically Disney yet distinctly Chinese. 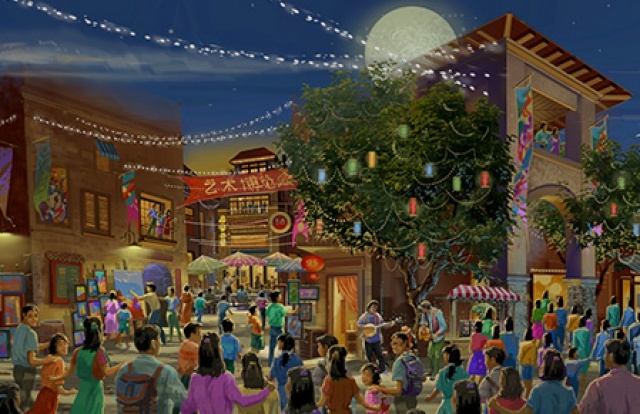 The shopping, dining and entertainment district has been designed by an international creative team to demonstrate the perfect blend of Disney traditions and classic Chinese and Shanghai design and cultural elements, including traditional Shikumen architecture paying homage to the heritage of Shanghai. The creative team has conducted extensive research about Chinese culture to tailor the area for Chinese guests in every detail, from colors to symbols. Guests visiting Disneytown will encounter fun and unique Chinese experiences around every corner such as, murals, story artwork, graphics, and architectural ornamentation design featuring classic and contemporary Chinese and Shanghai elements. Disneytown will also feature several world-class Disney shopping experiences, including a World of Disney Store, Marketplace specialty shop and Spoonful of Sugar confectionery. 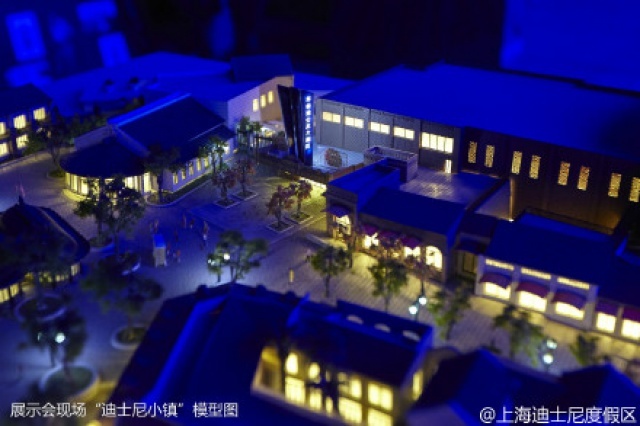 The 3,000-square-meter World of Disney Store stands out for its scale, design and range of products, and will offer thousands of items inspired by the unique elements in Shanghai Disney Resort. 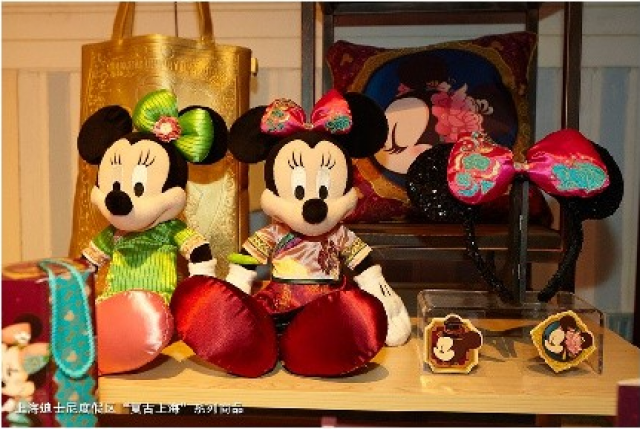 The comprehensive assortment, including unique Disney apparel, toys, stationery, collectibles and gifts, will include many products especially designed in collaboration with local artisans for China. Not just an alluring destination for shoppers, the World of Disney Store will also offer one of the most technologically advanced Disney retail experiences in the world. The store will be located in a nostalgic “railroad roundhouse” building that has been especially designed to pay homage to Walt Disney’s love of trains, a passion that inspired his design of the Disneyland Railroad that travels around the original Disneyland in California. Shanghai Disney Resort - 27 janvier 2016. J'aime bien ; heureusement que tout les bâtiments ne soient pas identiques partout ! Aujourd'hui, je suis allé faire un tour à Disneytown et au Wishing Star Park (en attendant la visite de Shanghai Disneyland mardi). Concernant Disneytown, architecturalement c'est très réussi avec des maisons toutes différentes qui évoquent les traditions shanghaiennes mais aussi une touche américaine avec Broadway Plaza. Les années de constructions des bâtiments sont autant de clins d'oeil (1901, 1952, 1955) appréciables par les fans. World of Disney Store est très grande avec une architecture faite de métaux verts qui rappellent Videopolis. Au centre un globe terrestre sur lequel sont projetées diverses séquences mettant à l'honneur les franchises Disney. À noter les paroles de la chanson d'"it's a small world" écrite sur une fresque murale et les affiches d'attractions de parcs à thème autour du monde dont trois proviennent de Discoveryland (Space Mountain - De la Terre à la Lune, Orbitron (Machines Volantes) et Videopolis). J'ai juste un peu de mal à comprendre comment parmi la flopée d'attractions formidables de Tokyo, on en vient à choisir The Crystal Palace et Turtle Talk. On retrouve à côté D-Street (streetwear) et Tren-D (vêtements et accessoires féminins). Cette dernière a droit à un lustre orné d'assiettes sur lesquels sont représentés des croquis de personnages Disney. A Spoonful of Sugar qui s'inspire de la chanson de Mary Poppins est une petite boutique sympathique proposant diverses sucreries. Son lustre fait de cuillères vaut le coup d'oeil. On y trouve également le plus grand LEGO Store du monde, sur deux étages. Parmi les personnages Disney représentés en LEGO, Blanche Neige, Mulan en homme sur Khan avec Petit Frère à leurs côtés, Kylo Ren, Buzz l'Éclair, Carl et Russell, Jasmine et Rajah, Iron Man et Captain America. De mémoire on trouve Swatch, Pandora, Samsonite, Sephora, Adidas, Crocs, New Balance, Build-a-Bear, etc. En terme de restauration, deux japonais, un Starbucks Coffee, une boulangerie Bread Talk, et de beaux restaurants sur Broadway Plaza tels que Shanghai Min ou Crystal Jade. Sur le Lakeshore, zone de Disneytown au bord du Wishing Star Lake, se trouvent quelques restaurants à ouvrir et des boutiques essentiellement de chaussures. Il y a depuis Gardens of Imagination une entrée menant à Disneytown permettant d'entrer et sortir du parc de ce côté qui mène directement sur Broadway Plaza. Pour entrer dans le parc par ici, cela n'est possible qu'en cas de réentrée. Je trouve cela très étonnant commercialement parlant d'inciter les visiteurs du parc à aller dépenser leur argent aussi facilement dans des commerces non Disney. En effet, Disneytown est quasi assimilable à un Land dans ce cas de figure et il est très simple de déjeuner dans un de ses restaurants plutôt que dans les restaurants du Parc. Enfin je ne prédis pas non plus de grand succès pour certaines boutiques. Ikspiari à Tokyo Disney Resort est un véritable centre commercial avec plus d'une centaine de boutiques variées. Par ailleurs, il est situé en pleine ville. Disneytown est au cœur du Resort Disney loin de la ville et propose trop peu de marques pour devenir un lieu de shopping pouvant intéresser les serial shoppeuses. D'autant plus que ceux de Shanghai Village ne sera pas loin et bien plus intéressant pour ce type d'activité. Qui ira acheter une valise Samsonite à Disneytown ? Photo : AFP / Getty Images. The first Mandarin-language production of “The Lion King” premiered Tuesday night at Shanghai Disneyland, part of a series of events scheduled before the park’s grand opening Thursday. A host of executives and Chinese and foreign celebrities attended, including Walt Disney Co. Chairman and Chief Executive Robert Iger, former NBA star Yao Ming, producer Jerry Bruckheimer, and director of the original “Lion King” stage musical Julie Taymor. Tuesday’s performance was close in content to the original Broadway production, which premiered in 1997, but also featured an assortment of distinctly Chinese elements, including a Peking Opera musical number and shadow puppet lions and giraffes. “The Lion King” is the highest-grossing show in Broadway history. It has been seen by about 85 million people in about 22 countries, Bob Chapek, chairman of Walt Disney Parks and Resorts, said in advance remarks on Tuesday. Broadway producers have long coveted the Chinese market for its 1.4-billion-strong population and rapidly expanding consumer class. Yet bridges between China and Broadway remain few and far between. China has no tradition of Broadway-style song-and-dance theater. The Chinese government has built cutting-edge performance halls in several cities without investing in productions to fill them. Mandarin-language productions remain rare. The first Broadway musical to show in China was “Les Miserables,” which ran in Shanghai in 2002. Since then, a handful of Broadway productions have toured the country, including “Cats” and “The Sound of Music.” A Mandarin-language production of “Mamma Mia” showed at the Shanghai Grand Theatre in 2011, featuring localized dance routines and dialogue that drew from regional Chinese dialects. 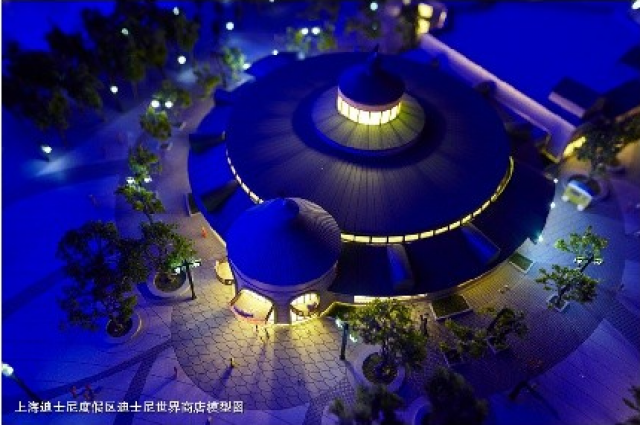 DreamWorks Animation is also planning a major tourism development in Shanghai called the Dream Center, which will include 16 theaters for live performances. It’s slated to open in 2018. The Shanghai Disney Resort is nearly twice the size of the Anaheim Resort. It includes Shanghai Disneyland park with six themed lands encircling the Enchanted Storybook Castle, a shopping district and 99 acres of gardens, lakes and parkland. VISITORS to Shanghai Disney Resort will find an abundance of dining options — including Cantonese, Singapore and local Shanghainese fare. Indeed, hungry funseekers can find these cuisines under one roof at Crystal Jade Garden of Dreams. 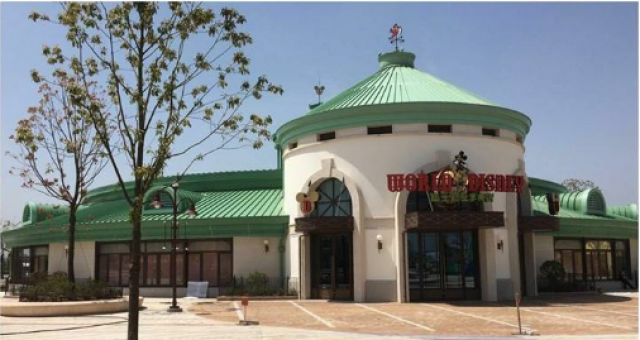 Located in the northwest corner of Disney Town, this new branch of Crystal Jade serves up many of the high-quality Asian dishes that have made the brand famous with diners around the world. This elegant two-story establishment has 408 seats spread over two floors. There are also four private dining rooms, and outdoor tables that are perfect for summer evenings. For diners with small children, the restaurant offers four special set menus. These include dim sum delicacies in fun animal shapes, desserts and fresh juice. “This is a paradise of happiness and love,” added the clearly satisfied youngster. Older folks are encouraged to try the restaurant’s signature dishes: chili crab, barbecued pork with honey, and poached rice with assorted seafood in lobster broth. Of course, also worth tasting are the xiaolongbao, a Shanghai specialty. A Singaporean standard, the chilli crab is served with plenty of tender and juicy roe. The dish is prepared with authentic spices like chilli padi, red chilli and ginger. The chef chooses fresh blue crabs imported directly from Singapore and each weighs at least 650 grams. There’s also chilli crab xiaolongbao. Wrapped in a crimson dumpling skin, these delicate morsels pack a punch with their chilli-infused broth. Also for seafood lovers, the poached rice with assorted seafood in lobster broth is a can’t-miss comfort food. This rice-in-soup dish features a robust lobster broth with prawns, diced greens and crispy pig’s skin. Prior to serving, a generous serving of crispy rice is poured in. This delightful combination comes together in a fascinating harmony of textures. The barbecue pork with honey is made with well-marbled cuts of meat soaked in a rich sauce mix. Be warned though, this unique rendition of a classic Cantonese roast dish can be highly addictive. If you like spicy food, the Sichuan dandan noodles offer a fresh take on a southwestern classic. This traditionally spicy dish carries a hint of sweet and sourness. Ingenious use of peanut further heightens the flavor. But no meal is finished without a dessert. Some of the most popular sweet treats at Crystal Jade include the mango milk, ginger rice dumplings, and sesame and jujube paste cake. Through the end of June, diners who follow Crystal Jade’s official WeChat account can get a 20 percent off e-voucher. The restaurant also offers raincoats and umbrellas on rainy days, and hand fans to beat the heat. Shanghai Daily- 16 juin 2016. YOUR morning latte could be in for a magical twist at the new Starbucks flagship store in Shanghai Disneytown, located right outside the gates of the Shanghai Disney Resort. Inside this two-story domed struc­ture, guarded by the company's iconic twin-tailed mermaid, coffee becomes a bond that unites people from around the world. One thing that many will notice when walking into the new Starbucks Disneytown store is the absence of the company's signature chalkboard menu. Instead, to make ordering more convenient, every guest is greeted with a printed copy of the menu. To further expedite the ordering process, guests can place orders on their smartphones via WeChat and pay at the counter. Opened on June 8, the new Starbucks Disneytown store is the company's fourth flagship outlet in China, and the first Starbucks at a Disney Resort in Asia. It is also now one of the busi­est Starbucks locations in the world, serving thousands of guests every day. The store's theater design concept is complemented by a series of coffee-inspired artworks. Gold and white metal wiring resembling latte art hang from the ceiling. A centerpiece mural on the second floor depicts coffee cups with shadow puppets in the shape of the Starbucks logo. Belinda Wong, President of Starbucks China, credits the outlet's talented design team for bringing this special location to life. “The experience here is very different from a normal store. We want to make sure we are bringing the entire magical Disney journey to life, with Starbucks being right here,” Wong said. The maestra in charge of daily opera­tions is General Store Manager Winnie Ma, who joined Starbucks as a partner in 2003 after graduating from college. “This store is special, because I wish to challenge myself again. Our part­ners wish to go outside their comfort zones. For me, it’s the same,” said Ma. To keep everything running smooth­ly during peak hours, the Starbucks Disneytown store is staffed with 110 partners from 48 Chinese cities. Around 30 are Starbucks Coffee Mas­ters who wear the company's special black apron. Like Ma, many of these employees see the new location as a place to learn and grow. For them, such benefits were enough to convince them to leave their hometowns. “Our partners value the opportu­nity to come here. It’s a very different experience here, one that can expand their horizons by leaving their comfort zones and familiar environments. Working here is a challenge and a valu­able experience,” explained Ma. All visiting partners from outside Shanghai are placed there for one year. Their name tags also feature the names of their hometowns. Ma came up with this idea after visiting and working at several Starbucks stores at Disney Resort in the US. “On my name tag, I wrote 'Shanghai' next to my name because I wanted people to know where I came from. One day a Chinese couple came in the store and the woman looked at my name tag and said to her husband in Shanghai dialect ‘she’s Shanghainese!’ I was thrilled to meet two persons from the same city, so I replied ‘I’m Shang­hainese’ in dialect. We continued our conversation in the language of home,” Ma recalled. She believes details like these will add a human touch to the new flagship store. Some partners have already met guests from their hometowns. The unique Starbucks experience at the flagship store is the combined work of its many dedicated partners. They sing “Happy Birthday” when they know it’s a guest’s birthday, play with young visitors, and host a monthly latte art carnival. “In addition to our professionalism and passion, we hope these moments will surprise our guests,” Ma said. For families coming to the Shanghai Disney Resort with young children, the experience at this Starbucks promises to be a special one, starting with greet­ers giving a fun sticker gift to every child who comes through the door. Ma also noted that there are three special beverages for children at this store: Chocolate Java Chip Cream Frappuccino, Vanilla Flavored milk and Hot Chocolate. Mini set desserts and pastries — like petite Swiss rolls and mini croissant — also make great treats for little ones. For Starbucks mugs collectors, the Disneytown store is not to be missed. The store offers three exclusive gifts: an apron, a travel mug designed in col­laboration with Swarovski and a canvas tote bag. Guests can also find an array of city mugs here as well. 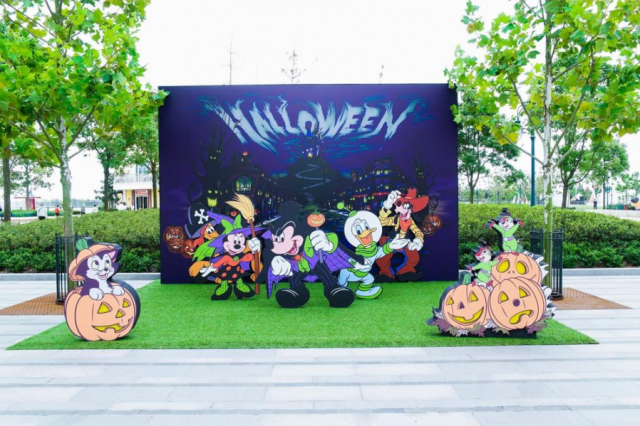 “Starbucks emphasizes experience, and the Disneytown store presents a theatrical coffee experience... we hope all customers coming to this store can experience something magical,” said Henry Xie, general manager and presi­dent of Starbucks Coffee Shanghai. prepare for a day of adventure and fun. Après visite, je trouve la zone de Disneytown intéressante. La déco est sympa, pleine de touche Disney( hidden mickey etc...). C'est notamment intéressant pour se restaurer en dehors du parc, les restaurants sont moins bondés et les prix un peu plus léger (pour le choix c'est un mélange de cheesecake factory, starbuck et d'autres chaines de restaurations locales). L'accès direct au parc (au niveau de Tomorrow land) c'est un vrai plus ! Honnêtement, je ne pense pas. Car le DisneyTown est coincé entre Mickey Avenue et son entrée - Tomorrowland et le parking à l'Ouest du parc. Il y a une possibilité d'extension si il détruise le parking, mais pour recevoir les visiteurs, cela peut être bien bête de le faire. Xzerus, tu vois juste ! 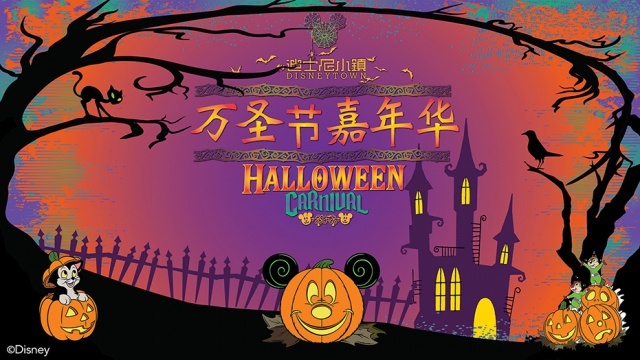 Welcome to the first Halloween Carnival in Disneytown ! Every corner of Disneytown will be decorated with a touch of Halloween. Don’t miss your chance to be immersed in the fun of this spooky season! From October 14 to 31, 2016, (Friday - Sunday only and October 31(Monday), from 3:30 PM to 10 PM) come for some extraordinarily wicked fun ! 4 PM to 7 PM, hourly shows. 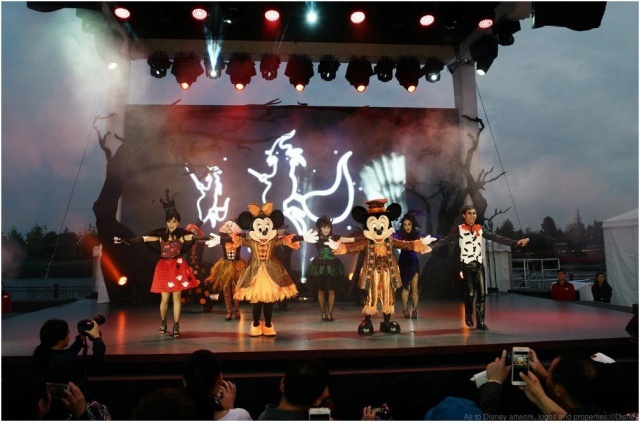 Shiver in anticipation as Mickey and Minnie, for the first time ever, gather on Disneytown's Lakeshore stage to entertain you in Halloween costumes. Discover life-sized Halloween scenes dotted throughout Disneytown and snap a picture (or a few!) to remember the occasion! Between 3:30 PM to 9 PM, watch a pumpkin carver create Jack-o'-Lanterns and get your face painted at the Lakeshore area of Disneytown. 7:30 PM to 10 PM, join the Halloween Dance Party with DJs & dancers. Be prepared! It wouldn’t be Halloween without trick-or-treating! On Halloween evening(October 31), come explore the Disneytown restaurants and shops* to collect your treats. Please approach any Disneytown cast member for specific trick-or-treat locations. La comédie musicale Le Roi Lion a franchi le cap des 200 représentations en mandarin à Shanghai Disneyland ! Wow ! jamais je n'aurais pensé que c'était si énorme ! Le Walt Disney Grand Theatre accueillera un nouveau spectacle musical en 2018 ! La 500ème et dernière représentation du Roi Lion aura lieu le 8 octobre 2017. Durant la période transitoire, une série de Classiques Disney historiques et d'autres plus récents seront présentés, permettant au public local de découvrir des films encore inédits en Chine Continentale ! Shanghai Disney Resort announced that today marks the beginning of the final 100 performances of the first-ever Mandarin production of the classic Broadway musical, THE LION KING, at the Walt Disney Grand Theatre. One of the most popular musicals of all time will give its 500th and farewell performance on October 8, 2017. A new Broadway musical show will be announced at a later date and debut at the Walt Disney Grand Theatre in 2018. Bringing director Julie Taymor’s bold creative vision to Shanghai and as one of the longest-running Broadway performances ever presented on stage in China since its debut on June 14, 2016, THE LION KING has created long-lasting and happy memories for audiences from across China and around the world, with its captivating story, dynamic choreography and intricately designed masks and puppets. The highly-acclaimed musical of THE LION KING has been a key feature of the exciting immersive entertainment that guests can discover at Shanghai Disney Resort. 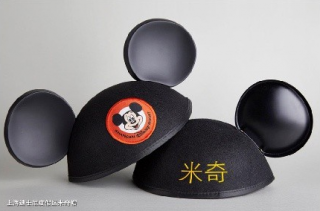 With its highly unique theatrical props, masks and choreography, and special Mandarin Chinese script and local humor, the show allows the audience to be immersed in fantastic storytelling in a way that is authentically Disney, while at the same time, distinctively Chinese. The adapted script and language of the Mandarin presentation enhances the theatrical experience for Chinese guests, allowing them to connect with the dialogue and gain a deeper understanding of the show’s themes and messages. In addition to bringing the stunning visual artistry, extraordinary music and exhilarating choreography of this Broadway hit to Chinese audience in Chinese, the producers have adapted the script by incorporating elements of Chinese culture, featuring local Chinese dialects, the Beijing opera and pop songs favored by the local audience. The Mandarin production has proven to resonate deeply with children and adults, young and old. It draws audiences into the gripping tale of the Circle of Life, in which a young lion bravely overcomes tragedy and becomes the leader of his pride. The captivating story was presented for two special charity occasions that supported the Join the Herd Wildlife Conservation Campaign in partnership with WildAid to promote public awareness of the protection of elephants and other endangered wild animals, as well as the Shanghai Charity Foundation to bring care and magic to Chinese children and families in need. In addition, the Mandarin presentation showcases an outstanding cast which features local talent as well as performers from all over the world, making this a distinctive and unique Broadway-caliber experience. The majority of the cast for the show were recruited from and auditioned in China, as Disney maintains a strong commitment to developing local talent and supporting the growth of China’s cultural industries. Their lively performances transport the storyline into the hearts and memories of every guest. 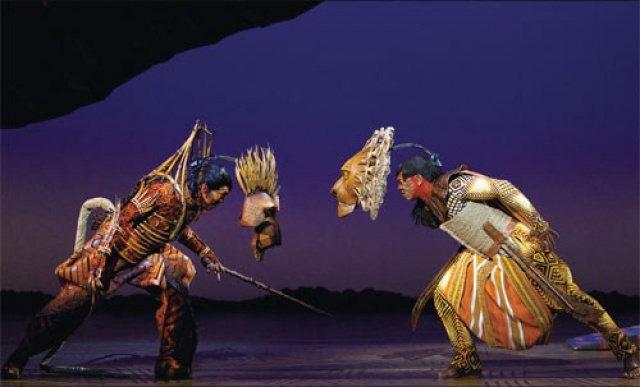 The Mandarin production of THE LION KING marks the ninth language for this long-standing Broadway musical, which debuted on November 13, 1997. More than 90 million people around the world have experienced this theatrical event, and it has earned more than 70 major theatre awards, including the Tony Award® for Best Musical. The world’s renowned and popular stage musical in Mandarin is performed exclusively at the 1,200-seat Walt Disney Grand Theatre, a world-class, Broadway-style theatre, located at the Broadway Plaza in Disneytown. The Broadway-style architecture features elements inspired by the grand theatres of old Shanghai, including Chinese fan motifs on the marquee, front door, carpet and acoustic panels in an art-deco industrial style. 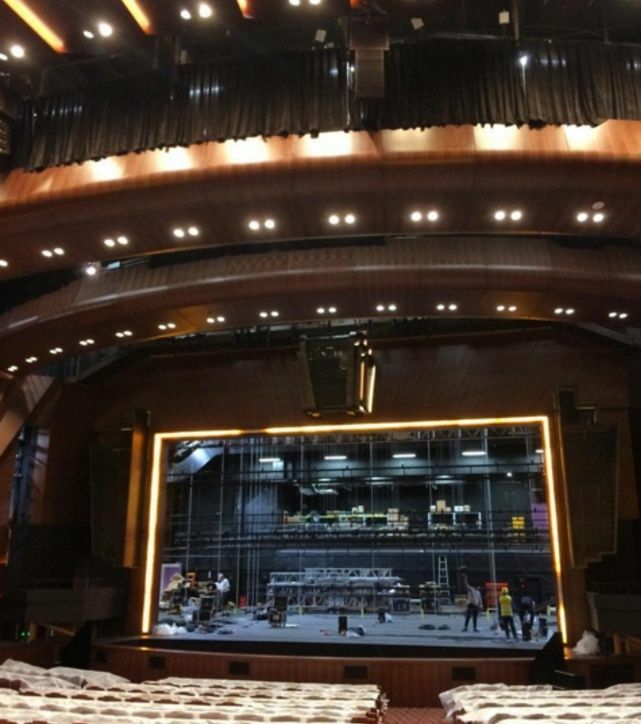 As an icon of Disneytown, the theatre is designed to introduce the authentic Broadway experience to Shanghai, and provides a truly enriching and holistic resort experience for guests. Over the past year, the theatre has become a top entertainment destination for premium performances and events, extending the magic outside the theme park. In addition to THE LION KING, the theatre has witnessed the first-ever world premiere of a Hollywood production, the Disney blockbuster, Pirates of the Caribbean: Dead Men Tell No Tales, as well as the China premiere of Beauty and the Beast. The theatre also hosted the premiere of Born in China, marking the first time a Disney documentary was filmed in cooperation with a Chinese partner. At this “must-visit” magical place, a Join the Herd Wildlife Photography Exhibition was hosted this April in which more than 20 wildlife photographs, along with short films produced by WildAid, were showcased to help guests better understand the natural habitats of the animals that inspired the characters in THE LION KING. After the farewell of THE LION KING mandarin production, Walt Disney Grand Theatre will present a special limited-time viewing of a wide range of classic and new classic Disney movies including those that have never been released in mainland China, before a new world-renowned Broadway musical is premiered at this grand theatre. Shanghai Disney Resort - 18 juillet 201. Le spectacle n'a pas réussi à drainer les foules, il me semble donc temps qu'il fasse place à un autre. Perso, je mise sur le musical La Reine des Neiges. L'idéal serait que cela fasse dégager le spectacle de Fantasyland afin de libérer la salle et proposer un vrai gros spectacle à la Mickey et le Magicien.